SAFETY – Students enjoy a safe, dependable ride to and from school. We perform multiple, thorough, bumper-to-bumper inspection on every bus in our fleet throughout the school year. PUNCTUALITY – Students get to school before the first bell and arrive home on time. We are committed to on-time pick-up and drop-off of every student, every single day. BUS MAINTENANCE – Routes run smoothly and rides are pleasant. 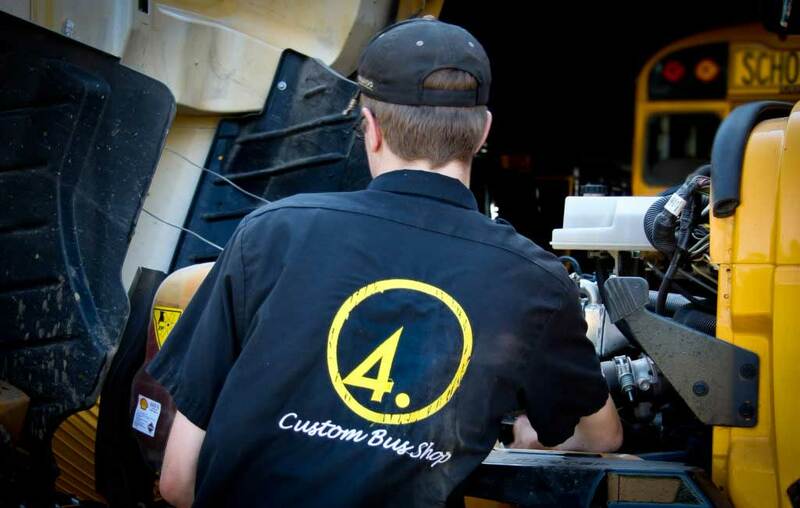 We perform weekly mechanical inspections, as well as thorough bi-weekly cleanings on every bus. EXPERIENCED DRIVERS – Parents know peace of mind. Many of our drivers are already experienced and familiar with the routes in the communities we serve. For new drivers, 4.0 requires successful completion of a comprehensive training program before ever getting behind the wheel. DRIVER SAFETY/BACKGROUND CHECKS – Every 4.0 driver agrees to a criminal background check and a motor vehicle records check twice each year. Additionally, every driver submits to pre-employment drug and alcohol testing, as well as random testing throughout the year. DRIVER TRAINING REQUIREMENTS – Every child is in the care of a cautious, capable driver. Every driver completes continuing driver education throughout the year to ensure their skills remain sharp and up-to-date. With 4.0 School Services, you can entrust the safe transport of your students to conscientious, caring experts, providing you with peace of mind every day.